Oh yuk! 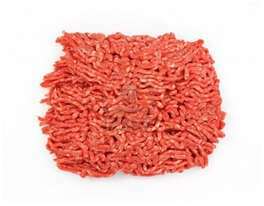 There’s something called pink slime in hamburgers and we’re feeding it to our kids at school! In response to a large number of grossed out parents and the general public at large, a growing number school districts, restaurants and grocery stores are rapidly removing hamburgers and ground beef which contain pink slime from their offerings. Pink slime is the common term used to describe cuttings and scrapings of meat often taken from the less appetizing parts of the cow and then treated with the harsh chemical ammonium hydroxide to kill the bacteria it usually contains. While we have no problem with removing pink slime from the burgers, there are much more serious problems with the common hamburger that can’t be so easily fixed, and which harm us much more than just making us hold our noses and saying yuk. Ultimately there is no such thing as safe meat. Meat is loaded with cholesterol and saturated fat, not to mention E. Coli and other pathogens that can cause serious illnesses. Let’s take a look at some of them and ask ourselves why, given the problems they cause, we still have hamburgers on the menus at all. Topping our list are artery-clogging saturated fat and cholesterol that are found in hamburgers in plentiful amounts. While fat and cholesterol may not sound as objectionable as pink slime, the damage they cause is much worse. It turns out that saturated fat and cholesterol are the culprits behind clogged arteries which in the heart can cause heart attacks, and in the brain can cause strokes. These two diseases are the number one and number three causes of death in America. Next on our list of burger problems are antibiotic-resistant bacteria. Most farm animals these days are raised on what are known as factory farms. On factory farms, animals are badly crowded together, and overcrowding promotes the spread of disease. To enable farm animals to survive under such harsh and unnatural conditions, farmers must routinely give them antibiotics in their daily feed. The problem is that, with repeated use, all antibiotics become less and less effective because the bacteria develop resistance to it. In one study of meat collected from supermarkets, almost all the bacteria found were resistant to at least one antibiotic, and over half the bacteria tested were resistant to three different antibiotics. Antibiotics have been haled as the miracle drugs of the 20th century, but they are now under threat. Doctors are frustrated by rising numbers of infections resistant to their arsenal of antibiotics. When these medicines don’t work, patients suffer or even die, and our nation’s health tab also ratchets upward. Doctors worry that the day may soon come when their prescriptions will no longer work, and we will go back to the old days when infections were rampant and people died from them. Rounding out our list are toxic and cancer causing chemicals. Broadly speaking, there are three kinds of toxic chemicals out there that are the most worrisome: those that were deliberately applied in agriculture, industrial chemicals discharged as pollutants, and chemicals directly applied to food or which emerge during its cooking and processing. When agricultural chemicals such as pesticides and herbicides are applied to crops, or industrial pollutants such as PCBs, dioxins and mercury contaminate the air and water, they wind up being consumed by the farm animals. Other toxic chemicals such as heterocyclic amines or HCA’s are formed when the meat is cooked. Many of these toxic chemicals have been shown to cause serious health problems ranging from birth defects to cancer. The problem is that the farm animals (and fish which consume polluted algae) store these chemicals in their bodies, especially in the fatty portions, in a process known as bioaccumulation. Day after day, and year after year, the levels of these chemicals build until the animal is finally killed for food. When we eat the animal, we get much of the toxic chemicals they have been storing. What about the toxic chemicals on the crops themselves, that vegetarians eat directly, you may ask? This is a legitimate concern. However meat often has levels of toxic chemicals 10 times higher than in plant foods, as a result of the animals storing and concentrating them day after day. In fact, most Americans get 90% of their toxic exposure through meat, fish, poultry, eggs and dairy. Just how serious is the problem of toxic chemicals in meat? According to Oxford University Physician Paula Baillie Hamilton, “We are one of the most polluted species on the planet. Indeed, we are all so contaminated that if we were cannibals our meat would be banned from human consumption.” No wonder cancer has become so much more common in recent times. Here in the US, Neal Barnard MD, President of the Physicians Committee for Responsible Medicine, sums up the overall problem with meat when he says, “Whether it’s pink slime or organic and grass-fed beef, it all leads to obesity, heart disease, type 2 diabetes, and other life-threatening illnesses.” The pink slime victory shows just how powerful consumers can be when they come together to fight an unsafe product. But it’s hardly the end of the battle. It’s time to face up to the consequences of our meaty diets and move to more healthful ways of eating.